Stunning views over the Atlantic coast from this second floor apartment. The open plan living space utilises the natural light and the extensive glazing makes the most of the exceptional scenery. Comfort and convenience have been built in to provide you with a perfect base to pursue an active or relaxing lifestyle. 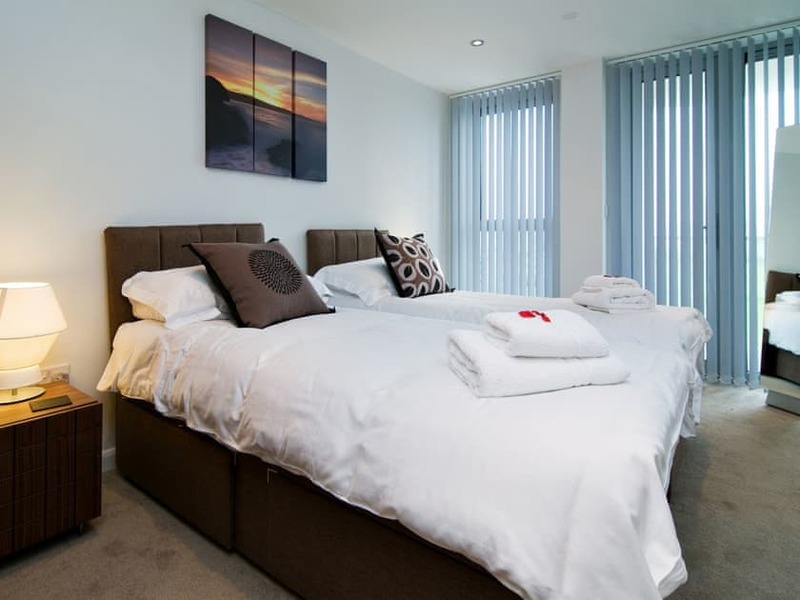 Apartment 32 is a two bedroom apartment located on the second floor and benefits from a large balcony with stunning views over Newquay Golf Course and the Atlantic Ocean. There is an allocated parking space at this property. The balcony cannot be accessed until further notice as it requires some essential maintenance. 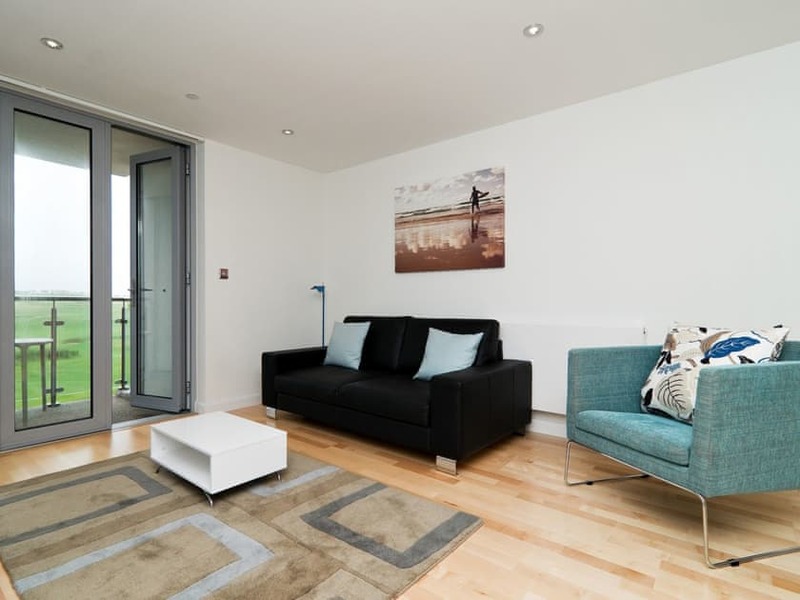 Fantastic location near fistral beach. The apartment was great but we found the mattresses a little tired and uncomfortable. The living space was limited size with only a 2 seater sofa and tired armchair. No good for more than 3 people to relax. Kitchen was great with plenty of utensils etc for cooking a decent meal. There is a sainsburys 5 mins walk up the road. Bedding and towels perfect. 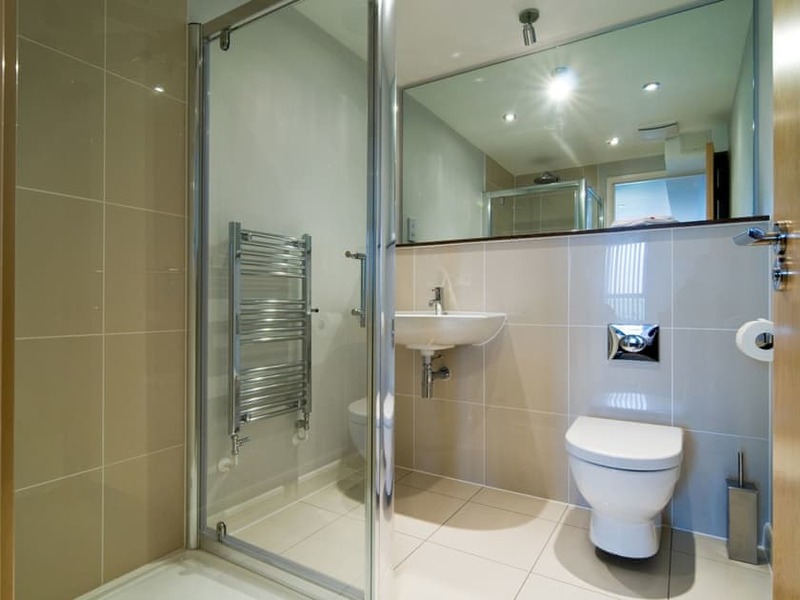 2 bathrooms with a fantastic walk in shower. Plenty of hot water. Handy to have a washing machine!! The apartment was warm so we only had the heating on once to warm the towel rails. 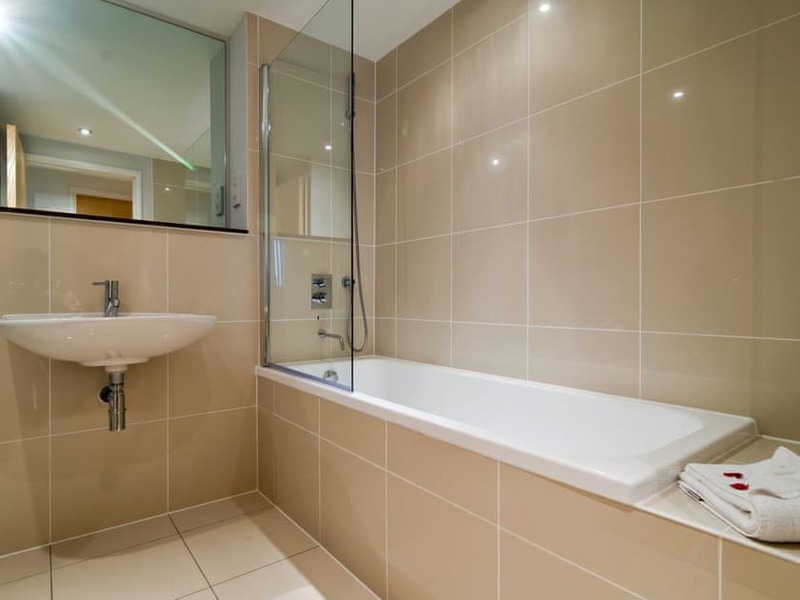 Sadly the towel rail in the end suite leaked which marked one of the towels. Underground parking which is a very tight space for a large car. Make sure you always display your permit as we saw cars with tickets due to this being managed by a private company. As the apartment is on the front of the block it can be noisy at night when people are walking back from the beach bar. Apartment nice but car park firm are cowboys. Get rid of them and I would go back. The firm are called armtrack and they are horrible. 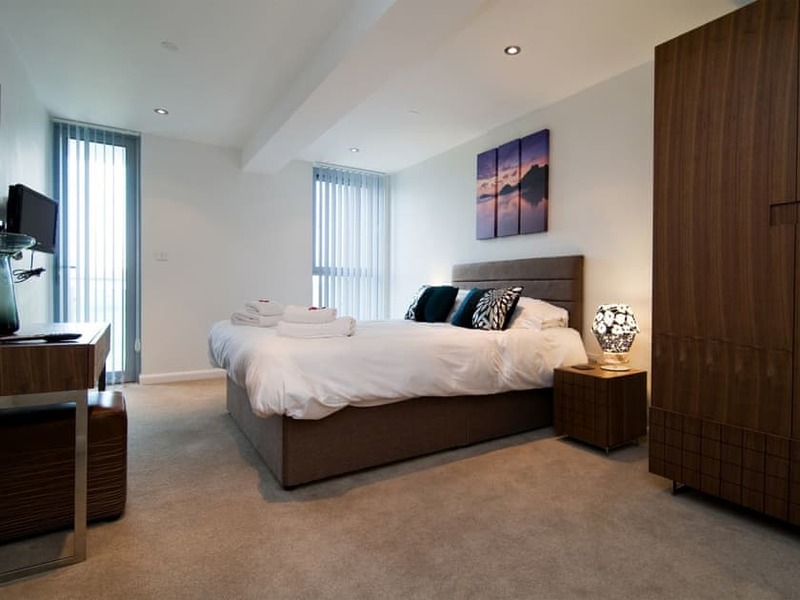 Contemporary second floor apartment with views over Newquay golf course down towards the sea. 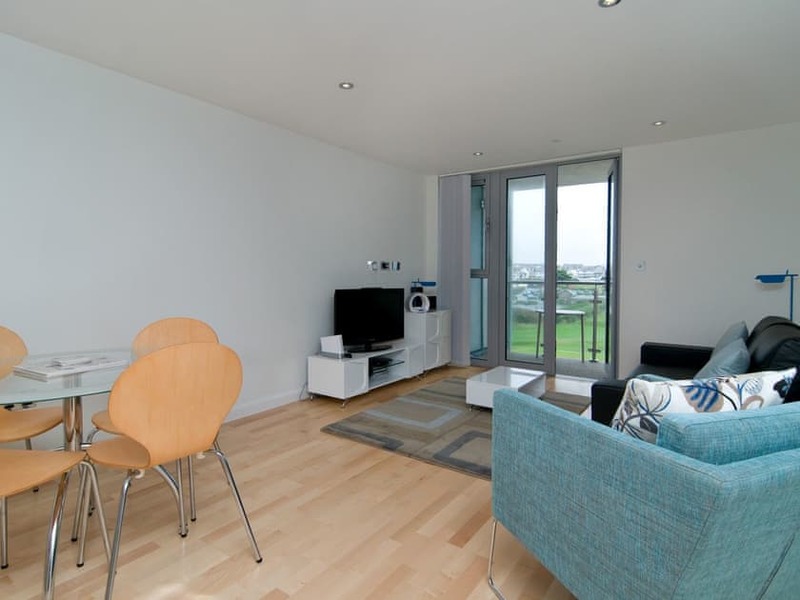 Cosy two bedroom penthouse apartment situated on the sought after Headland Road. 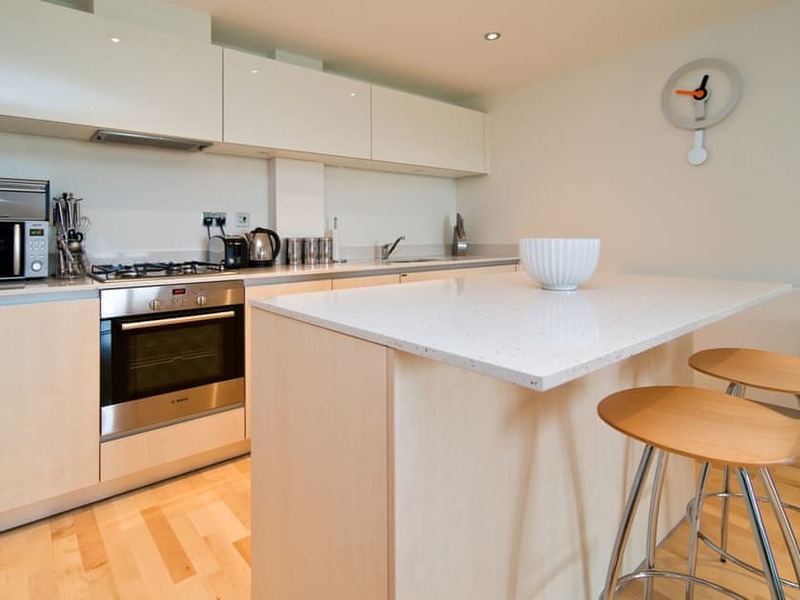 A stylish apartment occupying one of the best locations in Newquay.